GSAT-15 is an Indian geostationary Ku-band communications satellite. 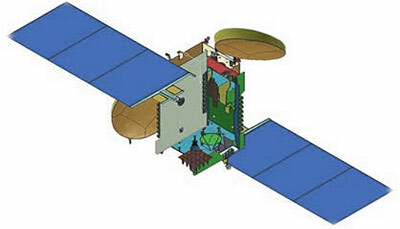 GSAT-15 was approved by the Government on 17 July 2013. The satellite built on the I-3K bus carries 24 Ku-band transponders and a GAGAN (GPS Aided Geo Augmented Navigation) payload. It will provide replacement for the Ku-band capacity of INSAT-3A and INSAT-4B satellites to augment and support the existing DTH and VSAT services in the country. The GAGAN payload of GSAT-15 will meet the in-orbit redundancy requirement for Safety of Life (SOL) operations benefiting the civil aviation services in the country.